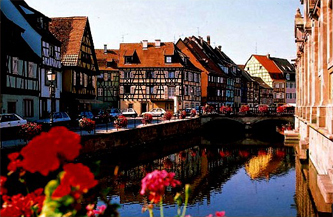 Inside the fortifications of Colmar, in the historic district, discover the quiet in one of the three apartments of Nathalie and Georges Karcher, created in the old family farm built in 1602. 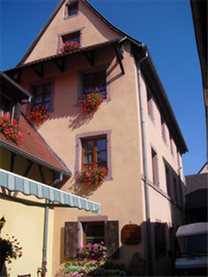 Classified by the prefecture and “Clévacances”, a national quality label, each apartment has the name of an Alsatian grape variety to do the link with the main activity of the owner: the winegrowing. We are members of the Label “Vignobles et Découvertes”. The apartments are welcoming, very bright and quiet. They are comfortable with useful furniture and a typical Alsatian decoration. The beams and the old stairs are conserved and give an additional charm to the apartments. These apartments have an independent entrance. Situated in the downtown, near the main shops, these apartments are the perfect starting point to discover the city on foot. You can walk along the “Petite Venise” and its canals, you will cross the paved streets with beautiful half-timbered houses. Car park near the apartments and around it. Each apartment has a TV and an internet access by Wi-Fi. To iron your clothes, a flatiron and an ironing board are at your service. You can find too at the entrance of the apartment, a bookcase with regional guides, city map, novels, books and games for kids. Washer, dryer, detergents at your service. In this room, you can house pushchairs, bikes or skis (Station of the Vosges are only 45 minutes from Colmar). During your stay, come and participate to wine tasting in the cellar which is situated in the estate’s courtyard. 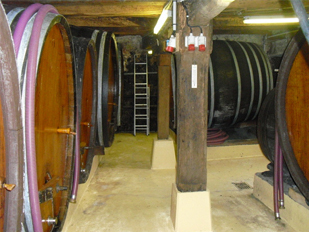 You will visit the cellar built in 1602 and taste the 7 Alsatian grape varieties. You will discover the range of flavors of our wines. Together, we live the Passion of wine! Weekly rental has priority over daily rental but we can always find solutions for short stays (off summer season and Christmas markets). Included in the price: sheets and towels. There are no additional taxes. If you don’t want to bother with the cleaning at the end of your stay, we propose you a cleaning package. Booking is definitive when you sign the rental contract. We will send it by e-mail or by post, and you will have to send it to us with your signature. We ask for a deposit (25% of total). The balance is paid on arrival. Deposits can be paid by bank wire. For every cancellation, you must cancel 15 days before the date otherwise the deposit will be retained as compensation.